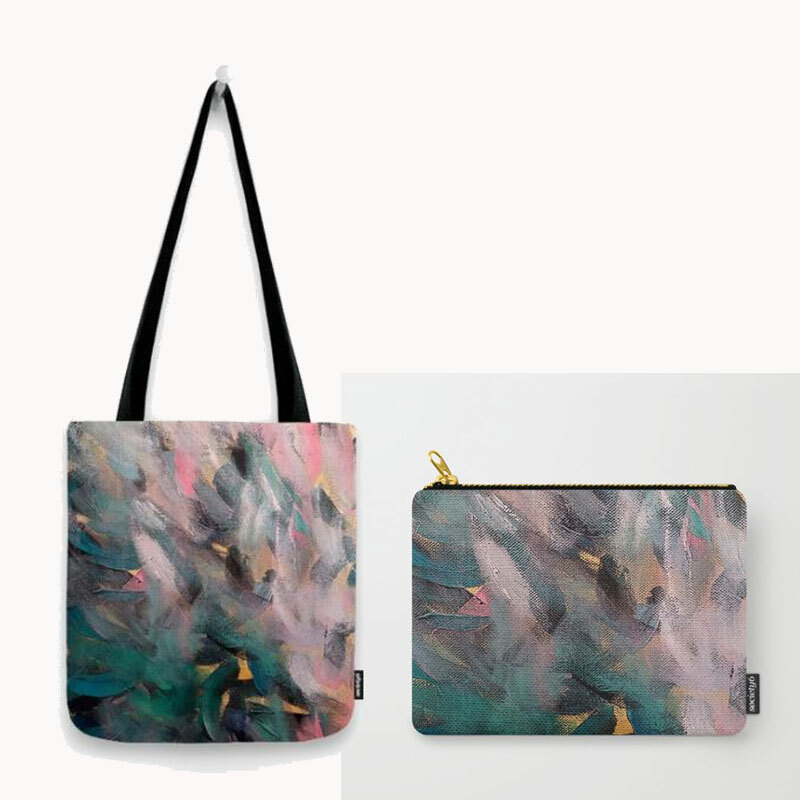 This designer gift pack features my Blue Feather design and is perfect for anyone who who need beautiful bags to carry their cargo in. The pack features a small designer tote and a large carry-all purch. Both the tote bag and the carry-all are hand-sewn and feature a high-quality print that’ll never fade. They are constructed with a premium, canvas-like material and double-stitched for quality. They are also both machine washable. Valued at over $70. 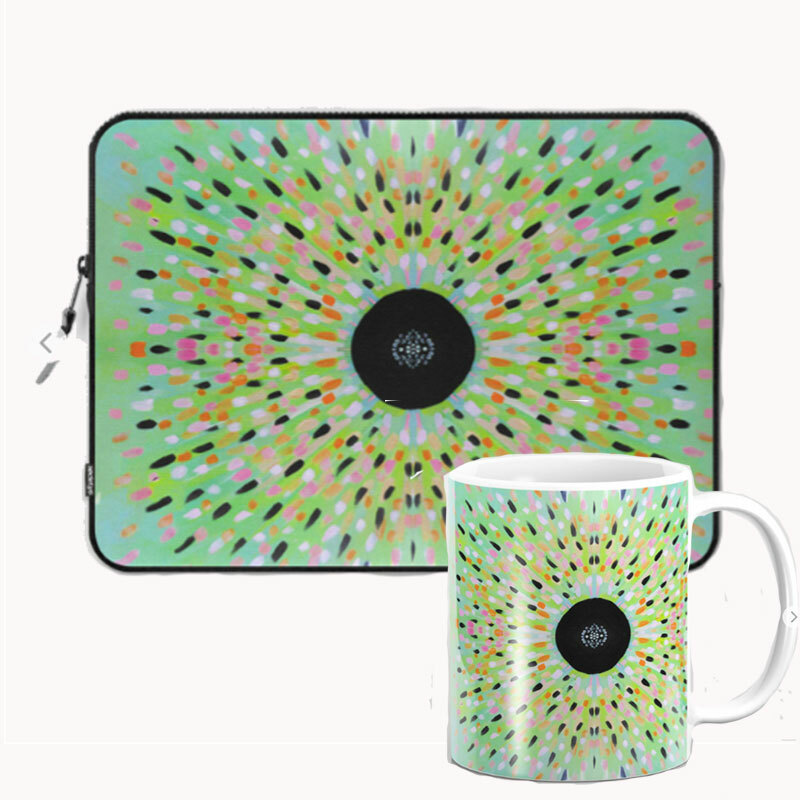 This gift pack is perfect for those who love to combine coffee, good music and mobile work! Take your laptop and your designer mug, plug in and settle yourself anywhere! Both items feature my ‘Heart of the Matter’ design. The 13″ laptop case is made from durable polyester, with a soft interior to prevent scratches and a large zipper with pull tab for easy open. The designer mug is made from premium ceramic, with large handles for easy gripping and is dishwasher and microwave safe. This package is valued at over $80! Don’t you just love a day when you can enjoy a quiet coffee and write letters? Haven’t done that in a while – or ever? This gift pack offers the perfect chance to give it a go. Rediscover the joy of writing hand-written gift cards, or thank you cards. Enjoy a steaming beverage, watch the world go by and pen your heart out! 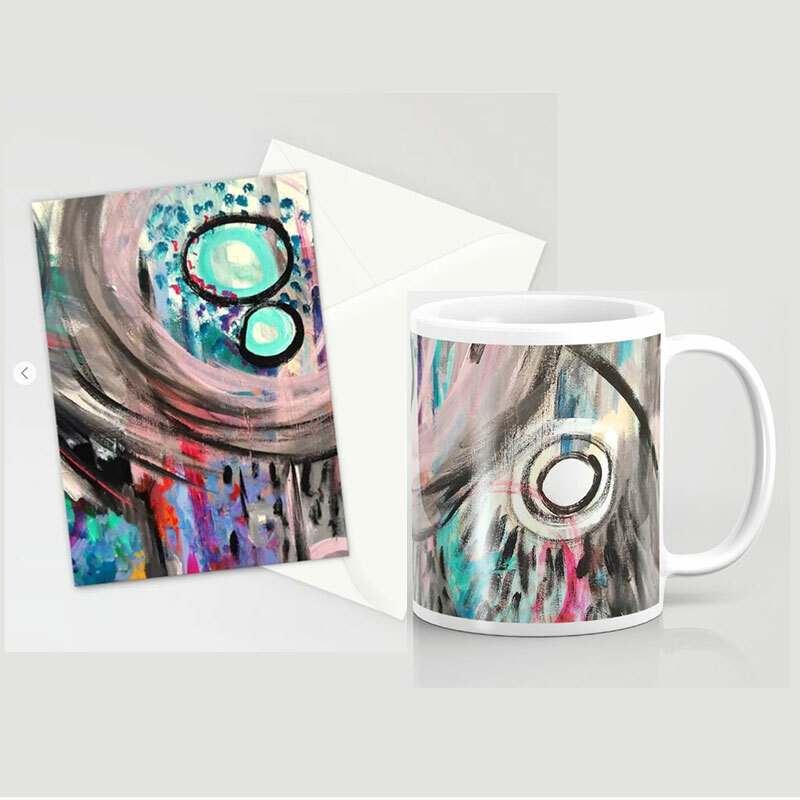 This gift pack features my Jungle Rain design and includes a designer mug and two gift card packs, each with three cards and envelopes included. The mug is premium ceramic with large handles for easy gripping and is dishwasher and microwave safe. The card sets are printed on bright white, smooth card stock and are blank white inside. This package is valued at over $65.00. The perfect gift pack for mum’s, sisters and daughters or wives. This soft, feminine design is one of my earliest and most frequently purchased. 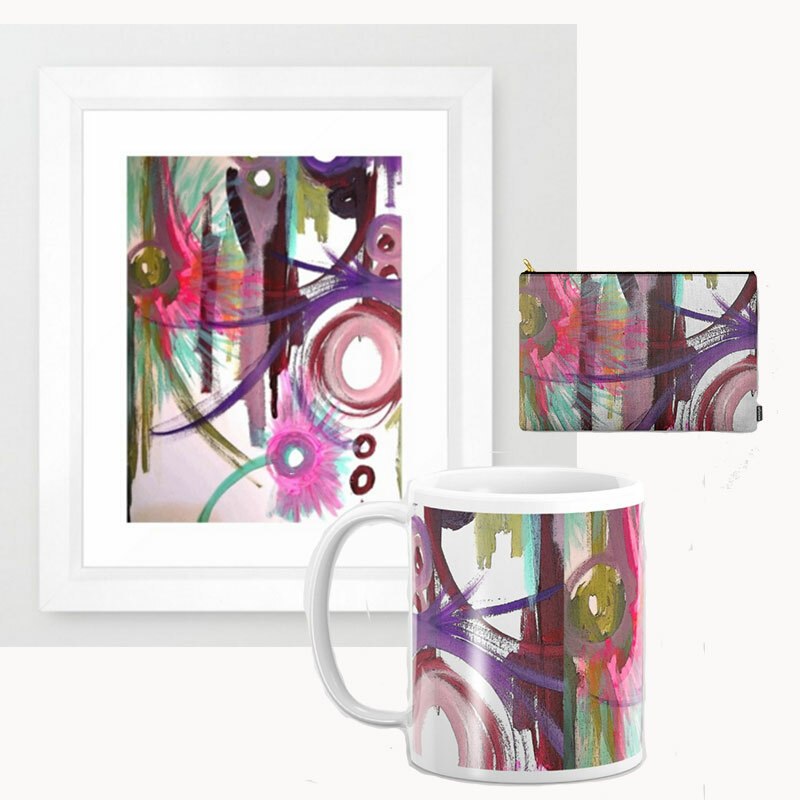 The gift pack features my Spring Blush design and includes a framed print, designer mug and small carry-all pouch. The framed print is a small gallery quality Giclée print; printed on a natural white, matte, ultra smooth background. The designer mug is premium ceramic with large handles for easy gripping and is ishwasher and microwave safe. The carry-all pouch is a small purse perfect for toiletries, art supplies, makeup and smaller electronics with a durable, canvas-like exterior and is also machine washable. This is a great value gift pack – you save nearly $28.00! 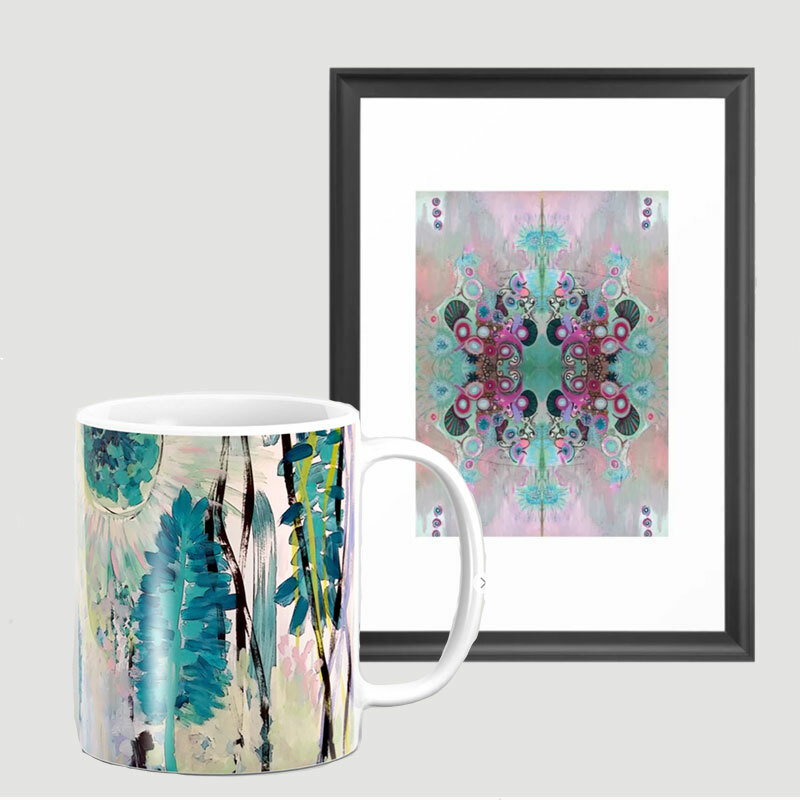 Calm, relaxed and peaceful – the Colours of Summer gift pack includes my ‘Ocean Manadala’ framed print and my ‘Drummer Pods’ designer mug. The framed print is a small gallery quality Giclée print; printed on a natural white, matte, ultra smooth background. The designer mug is premium ceramic with large handles for easy gripping and is dishwasher and microwave safe. This is a great value gift pack – you save $33.00!